I executed one of the oddest financial transactions of my life earlier this week. I did Norbert's Gambit. These days a big chunk of my income is in U.S. dollars. But since I live in Quebec, my expenses are all in Canadian dollars. To pay my bills, I need to convert this flow of U.S. dollars accumulating in my account to Canadian dollars. Outsiders may not realize how dollarized Canada is. Many of us Canadians maintain U.S. dollar bank accounts or carry around U.S. dollar credit cards. There are special ATMs that dispense greenbacks. Canadian firms will often quote prices in U.S. dollars or keep their accounting books in it. I suppose this is one of the day-to-day quirks of living next to the world's reigning monetary superpower: one must have some degree of fluency with their money. Anyways, the first time I swapped my U.S. dollar income for loonies I did it at my bank. Big mistake. Later, when I reconciled the exchange rate that the bank teller had given me with the actual market rate, I realized that she had charged me the standard, but massive, 3-4% fee. In an age where the equivalent fee on a retail financial transaction like buying stocks amounts to a minuscule $20, maybe 0.3%, a 3-4% fee is just astounding. But Canadian banks are an oligopoly, so no surprise that they can successfully fleece their customers. So this time I did some research on how to pull off Norbert's gambit, one of the most popular work-a rounds for Canadians who need to buy or sell U.S. dollars. From a moneyness perspective, Norbert's gambit is a fascinating transaction because it shows how instruments that we don't traditionally conceive as money can be recruited to that cause. The gambit involves using securities listed on the stock market as a bridging asset, or a medium of exchange. More specifically, since the direct circuit (M-M) between U.S. money and Canadian money is so fraught with fees, a new medium--a stock--is introduced into the circuit (like so: M-S-M) to reduce the financial damage. To execute Norbert's gambit, you need to move your U.S. dollars into your discount brokerage account and buy the American-listed shares of a company that also happens to be listed in Canada. For instance, Royal Bank is listed on both the Toronto Stock Exchange and the New York Stock Exchange. After you've bought Royal Bank's New York-listed shares, have your broker immediately transfer those shares over to the Canadian side of your account and sell them in Toronto for Canadian dollars. Voila, you've used Royal Bank shares as a bridging medium between U.S. dollar balances and Canadian ones. These days, Norbert's gambit no longer requires a New York leg. Because the Toronto Stock Exchange conveniently lists a wide variety of U.S dollar-denominated securities, one can execute the gambit while staying entirely within the Canadian market. In my case, I used a fairly liquid Toronto-listed ETF as my temporary medium of exchange, the Horizon's U.S. dollar ETF, or DLR. I bought the ETF units with my excess U.S. dollars and sold them the very next moment for Canadian dollars. Using the ETF as a bridging asset, I converted US$5005 into C$6465, paid $19.90 in commissions, for a net inflow of $6,445.10 Canadian dollars into my account. Had I used my bank, I would have ended up with just $6265, a full $180 less than Norbert's gambit. That's a big chunk of change! What is occurring under the hood? Norbert's gambit is providing a retail customer like myself with the same exchange rate that large institutions and corporations typically get i.e. the wholesale rate. Because there is a market for the DLR ETF in both U.S. dollar and Canadian dollar terms, an implicit exchange rate between the two currencies has been established. Call it the "Norbert rate". Large traders with access to wholesale foreign exchange rates set the Norbert rate by buying and selling the DLR ETF on both the U.S. and Canadian dollar side. If any deviation between the Norbert rate and the wholesale exchange rate emerges, they will arbitrage it away. Small fish like myself are thus able to swim with the big fish and avoid the awful retail exchange rate offered by Canadian banks. "In 1986 I moved down to the States, and while I was there I needed to be able to change funds from U.S. dollars to Canadian and vice-versa, and I had a brokerage account in Canada. It came to me that I could use interlisted stocks to do this." But using stock as money isn't just a strange Canadianism. Back in 2014, I wrote about other instances of stocks serving as a useful medium-of-exchange. During the hyperinflation, Zimbabweans used the interlisted shares of Old Mutual to evade exchange controls, lifting them from the Zimbabwe Stock Exchange to London. Earlier, Argentineans used stocks (specifically American Depository Receipts) in 2001 to dodge the "corralito". But I never imagined I'd use this technique myself to skirt around Canada's banking oligopoly! German foreign minister Heiko Maas recently penned an article in which he said that "it’s essential that we strengthen European autonomy by establishing payment channels that are independent of the US, creating a European Monetary Fund and building up an independent Swift system." So what exactly is Maas's quibble with SWIFT, the Society for Worldwide Interbank Financial Telecommunication? SWIFT is a proprietary messaging system that banks can use communicate information about cross border payments. This November, U.S. President Trump has threatened to impose sanctions on SWIFT if it doesn't remove a set of Iranian banks from the SWIFT directory. For Heiko Maas, this is a problem. Iran and Germany remain signatories to the same nuclear deal that Trump reneged on earlier this year. The deal committed Iran to cutting back its uranium enrichment program and allowing foreign inspectors access to nuclear sites, in return obligating signatories like Germany to normalize economic relations with Iran, including allowing the unrestricted sale of oil. If Iran is bumped from SWIFT, it could prevent Germany from meeting its side of the deal, potentially scuppering the whole thing. So a fully functioning SWIFT, one that can't be manipulated by foreign bullies, is key to Germany meeting its current foreign policy goals. SWIFT is vital because it is a universal standard. If I want to send you $10,000 from my bank in Canada to your bank in Singapore to pay for services rendered, bank employees will use SWIFT terminals and codes to communicate how to manipulate the various bank ledgers involved in the transaction. If a bank has been banished from SWIFT, then it can no longer use what is effectively a universal banker's language for making money smoothly flow across borders. It would be as-if you were at a party but unlike all the other party-goers were prohibited from using words to communicate. Sure, you could get your points across through hand gestures and stick drawings, but people would find conversing with you to be tiring and might prefer to avoid you. Without access to SWIFT, Iranian banks will be in the same situation as the mute party-goer. Sure, they can always use other types of communication like email, telex or fax to convey banking instructions, but these would be cumbersome since they would require counterparties to learn a new and clunky process, and they wouldn't necessarily be secure. It seems odd that Maas is complaining about SWIFT's independence given that it is located in Belgium, which is home territory. But Trump, who is on the other side of the Atlantic, can still influence the network. The way that he plans to bend SWIFT to his will is by threatening members of its board with potential asset expropriations, criminal charges, travel bans, as well as punishing the companies they work for by restricting them from conducting business in the U.S. ...SWIFT's board is made up of executives from twenty-five of the world's largest banks, including two Americans: Citigroup's Yawar Shah and J.P Morgan's Emma Loftus. No matter how erratic and silly he is, I really can't imagine Trump following up on his threat. Would he ban all twenty-five banks, including Citigroup and J.P. Morgan, from doing business in the U.S.? Not a chance, that would decimate the global banking system and the U.S. along with it. Requiring U.S. banks do stop using SWIFT would be equally foolish. Would he risk ridicule by putting two American bank executives—Shah and Loftus—under house arrest for non-compliance? I doubt it. No, the SWIFT board is TBTP, or too-big-to-be-punished. But even if Trump's threat is not a credible one, surely SWIFT will fall in line anyways. Large international businesses generally comply with the requests of governments, especially the American one. But there's a kicker. European law prohibits European businesses from complying with foreign sanctions unless the have secured EU permission to do so. This leaves SWIFT in an awfully tight place. Which of the two jurisdictions' laws will it choose to break? Assuming it can't get EU permission to comply with U.S. sanctions, then it can either illegally comply with U.S. law, or it can legally contravene U.S. laws. Either way, something has to give. "Whilst sanctions are imposed independently in different jurisdictions around the world, SWIFT cannot arbitrarily choose which jurisdiction’s sanction regime to follow. Being incorporated under Belgian law it must instead comply with related EU regulation, as confirmed by the Belgian government." Consider too that SWIFT itself is supposed to be committed to a policy of non-censorship. Chairman Yawar Shah once said that “neutrality is in SWIFT’s DNA.” So from an ideological perspective it would seem that SWIFT would be aligned with Europe's more inclusive stance. Of course, SWIFT's stated commitment to neutrality conflicts with the fact that it has banned Iran from the network before. In early 2012, U.S. pressure on SWIFT grew in the form of proposed legislation that would punish the messaging provider should it fail to ban Iranian users. SWIFT prevaricated, noting in early February that it would await the "right multilateral legal framework" before acting. In March 2012, the EU Council passed a resolution prohibiting financial messaging providers from servicing Iranian banks, upon which SWIFT disconnected them. It was only in 2015, after passage of the nuclear deal, that SWIFT reconnected Iran. (I get this timeline from the very readable Routledge Global Institutions book on SWIFT, by Suzan Scott and Markos Zachariadis). The takeaway here is that SWIFT only severed Iranian banks in response to European regulations, in turn a product of a conversation between American and European leaders. SWIFT will seemingly compromise its neutrality if there is a sufficient level of global agreement on the issue followed up by a European directive, not an American one. If Heiko Maas wants an "independent SWIFT," the above analysis would seem to illustrate that he already has it. Thanks to its European backstop, SWIFT is already independent enough to say no to U.S. bullying. As long as they are willing, European officials can force a showdown over SWIFT that they are destined to win, thus helping to preserve the Iranian nuclear deal. But maybe European officials don't want to go down this potentially contentious path. Perhaps they would prefer to preserve the peace and grant SWIFT an exemption that allows the organization to comply with U.S. sanctions, thus cutting Iran off from the messaging network, while trying to cobble together some sort of alternative messaging system in order to salvage the nuclear deal. Maybe this alternative is what Maas is referring to when he talks of a building an "independent SWIFT." An alternative messaging service would have to be capable of providing bankers with sufficient usability so that Iranian oil sales can proceed fluidly. In a recent paper, Esfandyar Batmanghelidj and Axel Hellman give some clues into what this system would look like. During the previous SWIFT ban, several European banks were able to maintain their relationships with Iranian financial institutions by using "ad hoc messaging systems." These ad hoc solutions could be revived, note Batmanghelidj and Hellman. Using this ad hoc system, so-called gateway banks—those that have both access to the ECB's large value payments system Target2 and limited exposure to the U.S. financial system—would conduct euro transactions on behalf of buyers and sellers of Iranian oil. Since presumably only a few gateways would be necessary to conduct this trade, it would be relatively painless for them to learn the new messaging language and the set of processes involved. For instance, instead of using SWIFT bank identifier codes to indicate account numbers, Batmanghelidj and Hellman point to the possibility of using IBAN numbers, an entirely different international standard. This independent ad-hoc system would probably work, on the condition that the European monetary authorities continue providing gateway banks that serve Iranian clients with access to the ECB's Target2 payments system. This is a point I stressed in my previous blog post. It isn't access to SWIFT that is the lynchpin of the nuclear deal, it is access to European central banks. But as long as folks like Heiko Maas get their way, I don't see why this sponsorship wouldn't be forthcoming. In response, Trump could always try to sanction the European central bank(s) that allow this ad-hoc system to continue. But an escalation of U.S. bullying from the mere corporate level (i.e. SWIFT) to the level of a friendly sovereign nation would constitute an even more nutty policy. I just don't see it happening. At stake here is something far larger than just Iran. 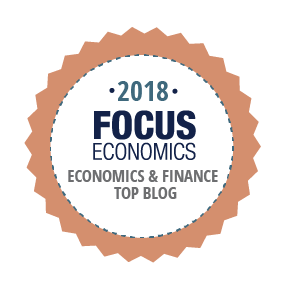 As I recently wrote for the Sound Money project, financial inclusion is a principle worth fighting for. If one bully can unilaterally ban Iran from the global payments system, who is to say the next victim won't be Canada, or Qatar, or Russia, or China? Europe needs to stand up to the U.S. on this battle, either by forcing a SWIFT showdown or by sponsoring an ad hoc alternative—not because Iran is an angel—but because we need censorship resistant financial utilities. A few centuries ago, lack of fungibility used to be a big weakness of monetary systems. But technological and legal developments eventually solved the problem. Nascent systems like bitcoin are finding that they must wrestle all over again with fungibility issues. Fungibility exists when one member of a population of items is perfectly interchangeable with another. So for instance, because your grain of wheat can be swapped out with my grain without causing any sort of change to our relative status, we would say that wheat grains are fungible. Fungibility is a desirable property of a monetary system. If all monetary items are interchangeable, then trade can proceed relatively smoothly. If monetary items are not fungible, then sellers cannot accept the monetary item without pausing for a few moments to verify and assay it, and this imposes frictions on trade. In this post I argue that there are two ways for something to be fungible. They can be fungible for physical reasons or for legal reasons. By physical fungibility, I mean that members of a group are objectively indistinguishable from each other. In the previous example, our wheat grains are physically fungible because a cursory inspection shows that they look, feel, and smell exactly the same. Now, a deeper analysis might reveal that the two grains are not in fact perfectly fungible. For instance, it may be the case that your grain of wheat is the hard red winter variety and mine is durum, in which case they are not substitutes, durum being better for making pasta. Or perhaps we each have durum grains, but yours enjoyed an excellent growing season—plenty of sun and sufficient rain—whereas mine isn't so healthy. And so your grains can produce more pasta per than mine. And thus they aren't exact substitutes. We could even go down to the molecular level and determine that the grains are not perfectly equal and thus not quite interchangeable. But for commercial purposes, there is typically some sufficiently-deep level of analysis at which fungibility between types of wheat grains can be established by an experienced grain inspector and accepted by the market. Among commodities, gold and silver achieve a notably high level of physical fungibility. As long as a gram of gold is pure, it is perfectly exchangeable with any other gram of pure gold. Gold's fungibility doesn't necessarily carry over to gold coins, however. 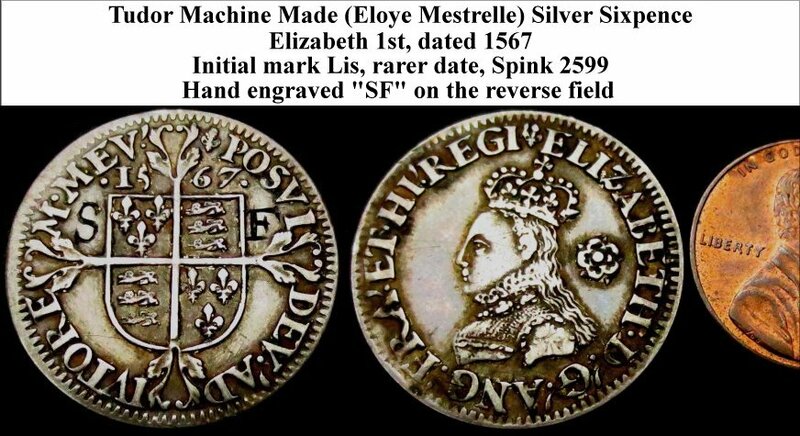 Earlier processes used to make coins, in particular hand striking, were not very effective at creating perfectly equal specimens. The edges of coins were often irregular, leaving coins vulnerable to clippers who would safely cut off some gold (or silver) without fear of being detected. Thanks to natural wear and tear, coins that had been in circulation for a few years would contain less precious metals than new coins. 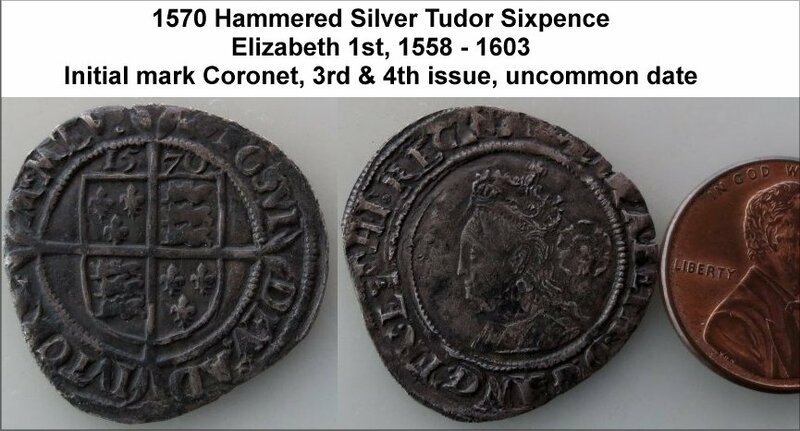 Both clipping and natural wear & tear meant that the metal content of coins was not uniform. New technologies helped increase the physical fungibility of coins. For instance, reeded edges—those little lines on the edge of a coin—prevented people from clipping off bits without detection. It was now obvious to the eye if someone had attacked the coin. Likewise, shifting from hand-hammered coinage to mechanical screw presses allowed for a more circular final product, one less susceptible to clippers (see comparison below). The invention of restraining collars—which prevented metal disks from shifting around while they were being stamped—also helped. With clipping much reduced, coins that had been in circulation for a while were more likely to be equal in weight to new ones. In addition to physical improvements, an attempt was also made to buttress the fungibility of coins with laws. There are two types of laws that achieve this: legal tender and the so-called "currency rule." Legal tender laws required debtors and creditors to accept all coins deemed legal tender by the authorities at their stipulated face value. 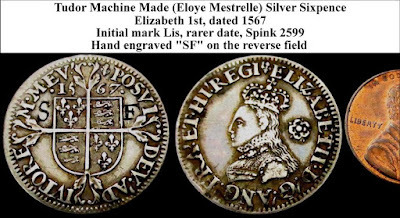 So even if two different shillings were not physically fungible--say one was clipped and worn and thus contained far less silver than the second newer one--those participating in trade were obligated to treat them as if they were perfectly interchangeable. Legally-enforced fungibility was no panacea. In the absence of physical fungibility, the imposition of legal tender laws often had perverse effects. 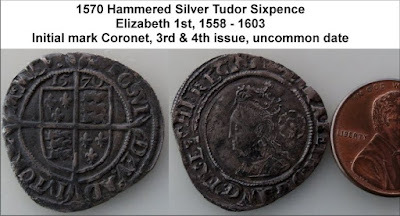 If two coins were not exact physical substitutes because their metal content differed, but law required them to be treated as interchangeable tender, then the owner would always spend away the lighter one while hoarding the heavier one. Legal tender laws, after all, had artificially granted the "bad" coin the same purchasing power as the "good" coin. Thus the good money is chased out by the bad, which is known as Gresham's law. The second set of rules that courts formulated in order to help fungibility, the currency rule, requires us to shift our attention to banknotes. Like coins, banknotes are not particularly fungible in the physical sense, but for a different reason. Banknotes have historically carried a unique identifier, a serial number—coins haven't. An owner of a banknote can carefully jot down the serial number of each note and, if it is stolen, use that number to help track it down. In 1748, Hew Crawfurd did exactly this. Before sending two Bank of Scotland £20 notes by the mail, Crawfurd not only recorded their numbers but also signed the back of each one with his name, thus further breaking down their physical fungibility. When they went missing, Crawfurd was able to use this lack of fungibility to his advantage by advertising in the newspapers the numbers of the two stolen notes and the fact that they had been signed by him. One of the notes was eventually identified after it had been deposited at a competing bank, presumably long after the robber had spent it. The bank, however, refused to return the stolen property to Crawfurd. In the resulting court case, the judge ruled in favor of the bank. Crawfurd would not have his stolen property returned to him. The court reasoned that if the note was returned to Crawfurd, then no merchant would ever risk accepting a banknote unless they knew its full history. This would damage the "currency" of money. After all, requiring merchants to pour through newspaper after newspaper to verify that no one was advertising a particular serial number as lost or stolen would be prohibitively expensive. Banknotes would be rendered useless, depriving the Scottish economy of much of its circulating medium. By allowing merchants to ignore the lack of physical fungibility of banknotes, i.e. the unique marks on each banknote, the court recreated fungibility by legal means. To this day, the currency rule that was first established in Scottish courts in the 18th century continues to apply to banknotes in most legal systems. (Kenneth's Reid's full account of this case is available here). Bitcoin, a purported monetary system, is interesting because it: 1) lacks physically fungible and 2) is unlikely to ever be granted legally fungibility in the form of legal tender status or via an extension of the currency rule. Bitcoin's lack of physical fungibility is more similar to that of banknotes than coins. It arises from the fact that all bitcoin transactions are publicly recorded. This means that it is possible to trace the history of a given bitcoin. If the token has been stolen, say in a highly-visible exchange hack, then said token may not be as valuable as a bitcoin that has a clean history. In theory, a forward-thinking actor will only accept a tainted coin at a discount because there is always a risk that the original owner will be able to reclaim his or her stolen property. There seems little likelihood that the courts will solve bitcoin's lack of physical fungibility by fashioning a form of legal fungibility for it. The state will probably never be friendly enough toward bitcoin to grant it legal tender status. Nor do I think it is advisable that courts extend the currency rule to bitcoin by granting merchants the right to ignore the trail left by a given bitcoin, as they do with banknotes. As I pointed out here, to do so would violates the property rights of the original owner of the stolen objects. Only a select few instruments, those that have already proven themselves to be vital to facilitating society's trade, should be protected in this way. With no legal route to establish fungibility, the only path remaining for bitcoin's architects is to go back to square one and try to improve the physical equivalency between bitcoins. One way they can do so is by anonymizing the blockchain. If transactions can no longer be traced, than clean and dirty bitcoins all look exactly the same. Full anonymity is easy to implement in new cryptocurrencies. Monero and Zcash, for instance, have gone this route. In the case of a legacy cryptocurrencies like bitcoin, this functionality would have to be added on to its existing codebase. I have heard rumours that bitcoin developers like Adam Back and Greg Maxwell are working on developing code for anonymizing the bitcoin blockchain. But even if the technology is up to snuff, given the difficulties of achieving sufficient consensus for upgrading bitcoin, it remains to be seen if a fungibility-restoring technology could ever get off the ground. In my view, the idea that bitcoin developers must try to achieve the same level of fungibility as coins and banknotes is misguided. Proponents of this idea are operating on the assumption that bitcoin is, like coins and banknotes, a payments medium or monetary system. But this is wrong. Whatever its original purpose might have been, bitcoin's first and foremost role is as a new type of gambling machine, a global and decentralized financial game. Like lotteries, casinos, and poker tournaments, and other types of zero-sum games, the main service that bitcoin provides its users is the fun of gambling and the allure of becoming very rich. If they want to benefit their users, Bitcoin developers should be working towards furthering its role as a gambling machine rather than mistakenly pursuing the dream of becoming the next monetary system. People who play financial games such as lotteries benefit from the unique serial number on lottery tickets. If their tickets are stolen from them, this identifier may allow the original owner to get their ticket back. And that way they can still potentially win the big pot. The same applies to bitcoin. Most people who hold bitcoins are doing so because they expect its price to hit $1 million. At least if their coins can be traced, a bitcoin owner who has been robbed may still have a chance to win that jackpot (and buy that Lamborghini they've been dreaming about). Removing the very feature that makes bitcoin non-fungible—and thus potentially traceable in the case of theft—would only do harm to the average bitcoin user. Anonymizing the bitcoin blockchain would make about as much sense as removing the serial numbers on lottery tickets. Bitcoin's lack of fungibility isn't a bug, it's a nice feature.